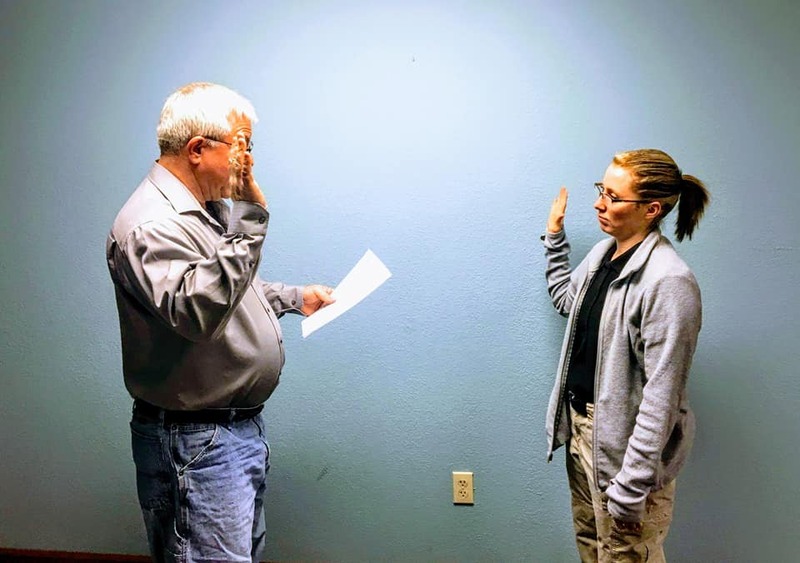 The Pioneer Police Department has announced their force has a new full time officer. Officer Adrain Brown took the Oath of Office this week. Officer Brown is a graduate of Edon High School and graduated from Northwest State Community College with an Associate Degree in Criminal Justice. In addition, Officer Brown completed her training with the Ohio Peace Officer Training Academy in June 2018. Prior to joining the Pioneer Police Department, Officer Brown was a Part-time officer with the Stryker Police Department since June 2018, and a Reserve Officer with Montpelier PD since 2015. Officer Brown was highly recommended by both agencies.